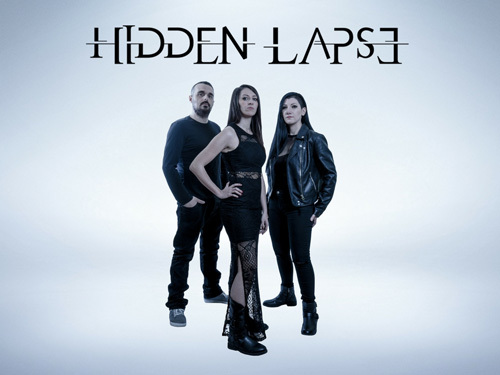 From small beginnings in 2011, Italy's Hidden Lapse, featuring Alessia Marchigiani on vocals, Marco Ricco on guitars, and Romina Pantanetti on bass, began with big ambitions. Six years later, inspiration and hard work, in the best DIY sense, have brought the band to their debut album, Redemption. According to the band, the album is something of a concept album: "Redemption is both a fictionary (sic) and everyday tale about a nameless young woman facing tough choices and consequences, through a long inner journey." Musically, Hidden Lapse falls in the large progressive music category, but their sound flirts with both the melodic rock and metal sides of the genre. Largely, you'll notice two significant elements in their songs, the abundant and sharp guitar parts and the generous keyboard parts, which can range from lively to quirky to symphonic. These two features are often combined in the song arrangements, with the keyboards adding both accent to the guitar lines and atmosphere to the full composition. Ms Marchigiani has a strong melodic voice, but it's difficult to understand without the lyrics (which I did not have). Also, at times, I didn't feel that her voice fit the music nor carried the melody as keenly as it could. An exception might be with Awareness. The lyrical vocal parts almost seemed like an afterthought in song development. Ultimately, it was interplay between the guitar and synths that intrigued me most about the album, notable in Compassion, Redemption, and Awareness. Alternatively, while the songs can be intriguing in their composition and light complexity, I found that most songs lacked genuine accessibility, and so never really pulling me in. They merely seemed to run together, with the singular main thread being the need to create progressive complexity. Nevertheless, with the hybrid of melodic and progressive rock and metal of Redemption, Hidden Lapse is off to a promising musical start. You can only expect more and better things from this talented band. Be sure to check them out. 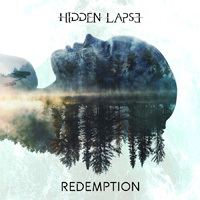 With the hybrid of melodic and progressive rock and metal of Redemption, Hidden Lapse is off to a promising musical start. You can only expect more and better things from this talented band. Be sure to check them out.